Gorgeous panoramic mountain views from almost every window! Fantastic Carrington Kendall Lane floor plan is a must see. 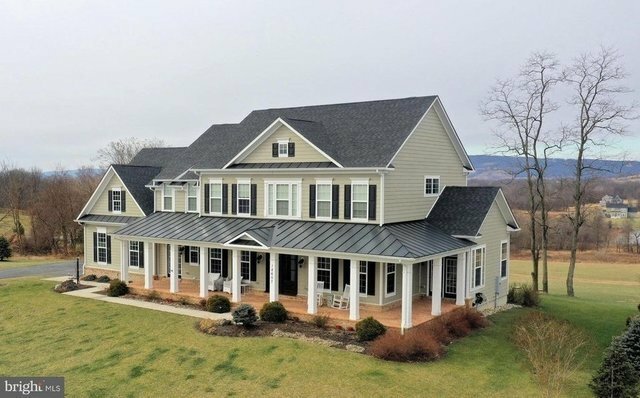 This home has a wrap around front porch and all the bells and whistles! Chef's kitchen with over-sized island, farm sink and upgraded cabinets and stainless steel appliances. Keeping room and screened porch overlook large yard with stunning pond and mountain views. Generous bedrooms upstairs. Master has custom furniture built-ins with spa-quality bath and huge walk in closets. Lower level fully finished with bar, recreation area, family room, bedroom, full bath, craft room and exercise room. FIOS is here. Backs to open space overlooking community pond.